WASHINGTON, Aug. 28 (UPI) -- The United States expects South Africa to be an important partner in limiting the spread of nuclear weapons, the State Department said Friday. Delegations from the two countries held talks Wednesday through Friday in Pretoria. 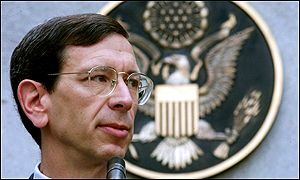 The U.S. delegation was led by Robert Einhorn, a special adviser for non-proliferation and arms control. South African is the only state to have developed nuclear weapons and then abandoned the effort so it could join the Non-Proliferation Treaty as a non-nuclear state, officials said, adding that gives the country a unique perspective and credibility on the issue. The United States says South Africa can play a big role in helping realize President Obama's goal of a nuclear-free world.